The Woodlands, Texas – Celebrate the music of rock legend Tom Petty in this exhilarating musical tribute sponsored by Huntsman. The Houston Symphony will return to The Pavilion Main Stage on Saturday, April 20 for an evening honoring Petty’s life and featuring a variety of his classic hits including “American Girl,” “Free Fallin’” and “Learning to Fly.” Mezzanine and lawn seating are free. Reserved orchestra seating tickets are $20. 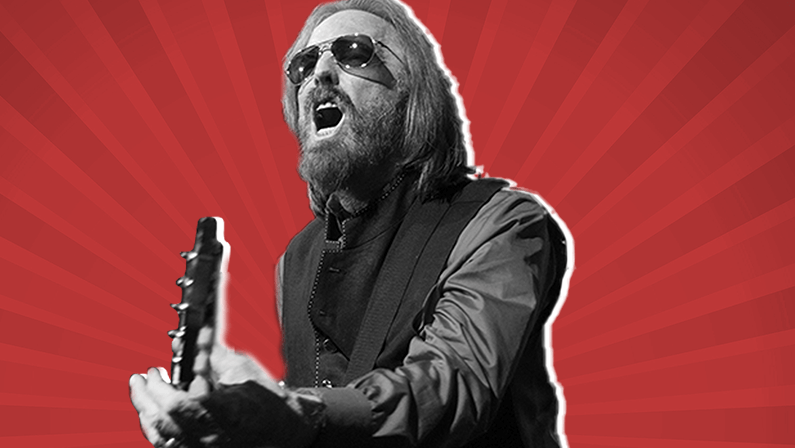 The performance will begin at 8 p.m. and gates open at 7 p.m.
Tom Petty’s career spanned over forty years, bringing with it the iconic American music that made Tom Petty and The Heartbreakers a household name and a frequent performer on The Pavilion Main Stage. The Houston Symphony will join conductor Brent Havens and recording artist Tony Vincent to bring the timeless melodies, sweet rhythms and wild rock-music of Tom Petty to the stage for everyone to experience and fall in love with all over again. Pre-show entertainment in the North Plaza will be provided by The Woodlands band The Haps, who recently won the 23rd annual Tri-C High School Rock Off at the Rock and Roll Hall of Fame and Museum in Cleveland, Ohio. Three students from The Woodlands High School — Peter McPoland, Joe Curtin and Landon Laney — make up the band that mixes punk, rockabilly and attitude in their music. The Pavilion is thrilled to welcome the group to the venue for this special occasion as it so closely aligns with its mission of providing performance opportunities for young artists in the community. Pre-performance activities will begin at 7 p.m. in the North Plaza and include a special egg hunt around the plaza area and sponsor activations by Fidelity, Code Ninjas, Tommy Bahama and Woodforest National Bank. Guests are invited to make their own guitar craft at The Pavilion Partners arts & crafts booth and visit the Instrument Petting Zoo. Families are also encouraged to enhance their performing arts experience with Mini Maestros, a free and exciting program that makes the arts both fun and accessible for kids of all ages. By signing up for Mini Maestros, children will receive: a special membership lanyard and badge, free reserved seating at all performing arts events, early entry for Ice Cream Social or Hocus Pocus Pops, a free ticket to Children’s Festival and other great perks throughout the season. Families can register their children at any of The Pavilion’s performing arts events this season at a special booth located in the North Plaza or online at www.woodlandscenter.org/mini-maestros. Guests are welcome to bring a picnic from home or their favorite restaurant to enjoy in their seat or on the lawn. Keep in mind however, that beverages are not allowed to be brought into The Pavilion and picnics must comply with The Pavilion’s bag size restriction and/or be in original packaging. Examples include pizza within a pizza box or chips in original sealed packaging. Please visit The Pavilion’s website for more information on these restrictions. For those wanting to sit on the hill, lawn chairs also are provided free for this event. Preferred parking is available in the on-site Town Center Garage, located along Six Pines Drive. Parking is $10 per vehicle for this and most performing arts events. Tickets for on-site parking can be purchased in advance at Ticketmaster.com and The Pavilion Box Office. Guests also may park in any of the free parking lots off Timberloch Drive on the southwest side of The Pavilion. For more information about The Pavilion, please visit our website at www.woodlandscenter.org. Look for The Pavilion on Facebook, Twitter, Snapchat, YouTube and Instagram, or download The Pavilion’s iOS or Android app.